هذا ما قالته لي أمي عندما شاهدت صحن السجائر الملقى جانبي على أرضيّة غرفة الصالون التي أقوم باحتلالها حاليّاُ. it depends on whether you are online and thinking of some deep post to write or just smoking for pleasure …. لفت نظري شيء غريب على عقب السجائر( مارلبورو) ألست من جماعة المقاطعة وتريدين مقاطعة ميكروسوفت أيضا!! الصورة لم تؤخذ من قبلي, لقد وضعت رابطاً لصاحب الصورة في أسفلها. لقد قاطعت مالبورو خلال حرب تموز. I like your blog and I think that you are full of energy, I have one advise, try to concentrate on the subject you think is very important to you on the level you want. Your blog is getting busy with too many issues and you are kind of fighting everything and everyone at the same time (political, social, religions..) you can not do that and succeed, nobody can, you need to concentrate on one subject and be great in it instead of keep fighting and wasting your energy on too many fronts. make your point and make it clear and loud, don’t make your busy site to take over you. Anyway, I just thought to advise you on this issue and be sure that I’m writing that out of care. Just concentrate on which system/regime/front/taboo you want to be the hero of. It is a good thing to keep fighting, the point is to have ONE goal where you can claim a success, dying in the battle wont bring you or anybody you defend any rights. Nobody in the world can fight on all fronts because no human is that perfect or strong. If I ask you to chose one front which one would you go for and please don’t tell me all three, I’m looking for one. and try to explain why. By “telling” me how to run MY blog you’re exceeding your limits, your advice was clearly made and I was kind enough to reply, that being said, either you show up here and discuss my posts or as long as you’re coming and continue telling me how to run this blog I won’t be replying to your comments anymore. Hi, I think you misunderstood my point, I’m not criticizing or telling you or anybody how to run their blogs, I’m enjoying the whole revolution of the great young Syrians who are doing what you are doing and I’m for whatever make you a better generation than us. My point was simply to encourage you to become stronger and tackle the main issue you think that you have the great passion about instead of loosing your energy on couple issues whiteout winning any, that’s all. I sincerely wish you the best of luck in anything you decide and your win will be for all the young Syrians. something else, yes, you were kind enough to reply, however, it’s the duty of the host to explain his points and share his ideas out of courage and passion not out of courtesy. I don’t mind being criticized, in fact, I’d love to hear feedback on how I tackle issues I tackle on this blog than to be told how I should run this blog, and I think you are doing so by telling me to focus on one topic. The idea is simple, justice is what I am passionate about, hence I write on any form of injustice which I believe it has to do with the concentration of authority. If you look at any single injustice in history, you would find that they are based on inequality of powers. So topics like the occupation of Palestine and gender inequalities to name a few, are only the result of authoritarian international relations or authoritarian social structure. In that case your first answer you gave me wasn’t fully clear and this is my point. You are fighting the ‘SYSTEM’ on all those levels for ‘JUSTICE’. So ‘JUSTIC’ for all is your ultimate goal. In that case, what are you doing regarding that? Are you reacting to the unjust you see or are you acting to force it by any means you have? What are the tools and specialties you’ve got to tackle this? How can you influence others to do what you are doing? What is the thing making you different than any other person talking about justice? This is what I wanted you to look at and question so you can get to where you want to be, Have a goal (you already do) have a vision (how do you imagine your world to be) Go for it. I won’t bug you anymore, I just wanted to encourage you to be different, mean it, and become a success. I think your questions are not answerable. The mere existance of an anti-Zionist Jew is in itself a statement that she/he does not conform to the Zionist narrative that “Israel” is the land of Jews. She might not do anything or affect nothing, but the more Jews speak up against Zionism is in itself a counter movement. Same here in my case, this blog is a bunch of statements I hold on many topics and cases, I may or may not affect anything and that’s certainly not my objective from running this blog. But I do think that the very existence of these statements show that there is someone in Syria thinking this way. That’s pretty much it. nice photography and photo editing.. Thank you dear :) I am planning on quitting smoking once I finish writing my thesis, it only got worse when I am feeling stressed out while writing it. great photo! !that’s what i say to myself when i smoke!but this picture somehow makes me more eager to smoke!! wierd! 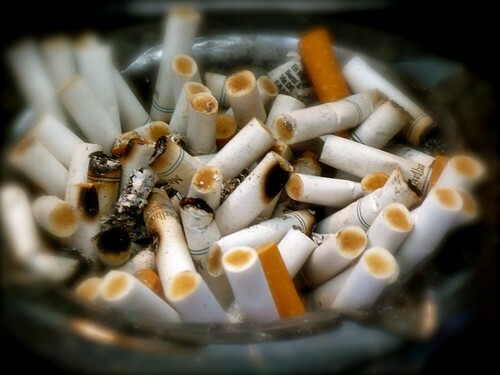 btw did you know that cigarettes contain rat poison, tire material, and other disgusting stuff..yet we don’t listen!